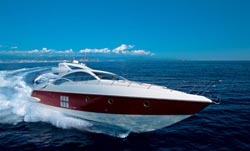 We offer a large range of Sunseeker predator 82 for charter in the South of France . The Yachts we offer are regularly checked in order to ensure a first class maintenance to the highest possible standard. All details are constantly monitored ensuring best services such as accommodation, TV, Hi-Fi systems, satellite, water sports equipment, to name a few. 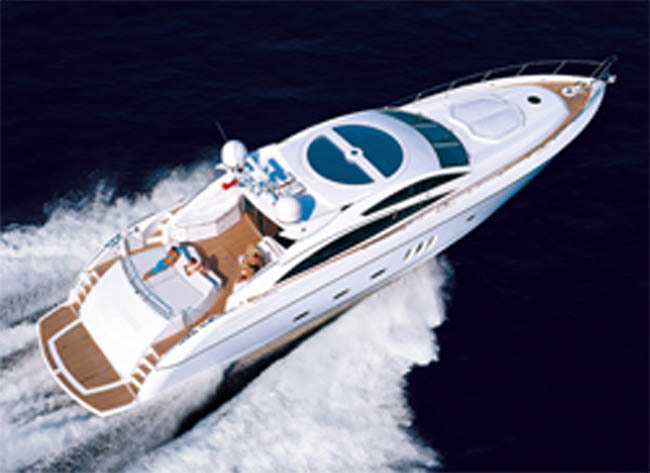 Our Yachts are fully crewed with experienced, friendly and courteous professionals. Ask a selection of Sunseeker Predator (72 , 82 ,108) available for charter on the French Riviera . This Predator will attract those who want the best life has to offer. Her Top speed is a breath-taking 48 knots. This luxury predator available for charter in south of France can accomodate 8 guests in 2 doubles rooms and 2 twin ( all ensuite ) . The aft deck area is well served by an al fresco dining area and full wet bar. A comfortable sofa seating area and large sun bed make the aft deck a perfect area for relaxing whether cruising at high speeds, or at a tranquil anchorage. 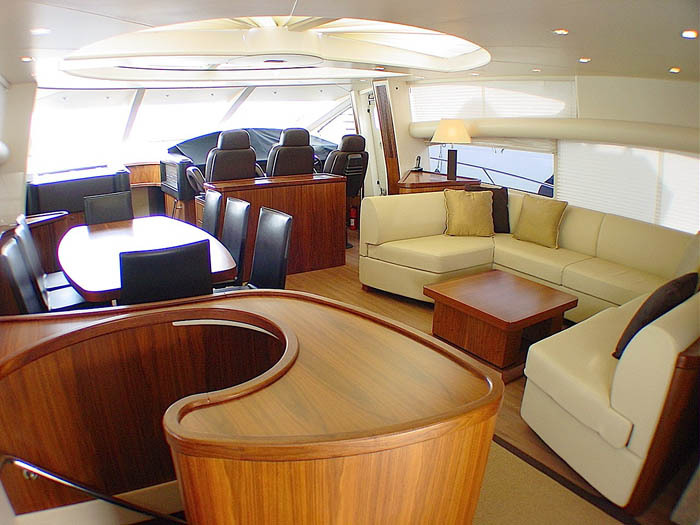 The main deck incorporates the vast open saloon which is comprised of the bridge, the dining table and the large comfortable sofa. The saloon has a unique rotating glass sunroof which opens to allow fresh breezes and natural light to filter through. 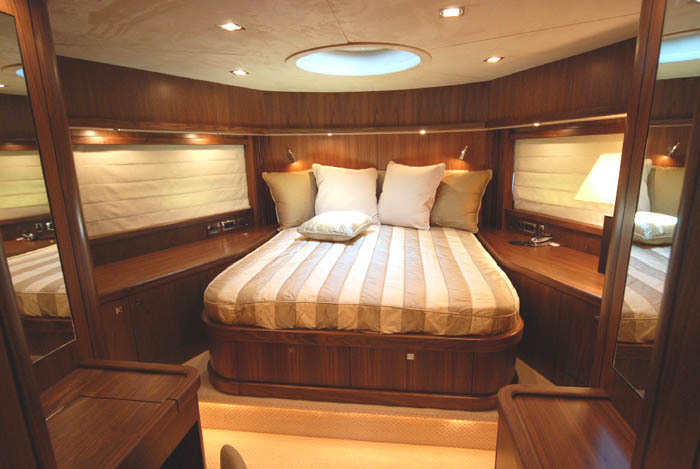 Each guest cabin has its own ensuite bathroom facilities with showers and the cabins are equipped with all the amenities a guest would expect of a luxury yacht. 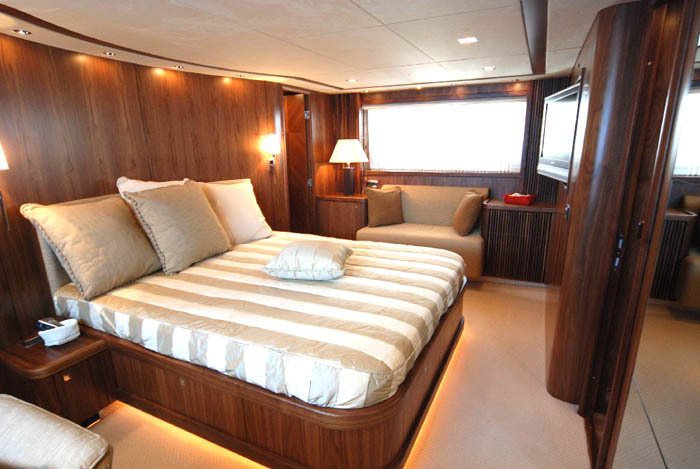 All areas of the vessel are air conditioned with individual climate control units available in each stateroom. We offers other Sunseeker predator 82 for charter in the South of France - Ask a selection of Sunseeker Predator (72 , 82 ,108) available for charter on the French Riviera . Feel free to contact our charter broker +33 (0)4 93 49 99 66 for any information re or email usif you wish to receive a selection of Sunseeker Predator yacht available for charter in the south of France.